Because of my brain tumors, I have severe balance issues that affect everything I do. The good news is that it’s so much better than it used to be. Until it gets dark. When I’m in the dark whether it’s outside or in the house, it’s like someone turns off my balance switch. It’s instantaneous and complete. I have to hold onto something or I can’t walk. Period. Spiritually speaking, it’s the same. If we let the darkness of the world in, our balance system goes haywire. We can’t do the right thing. We don’t even know what the right thing is. We lose sight of God and his goodness. We believe the world rather than God. 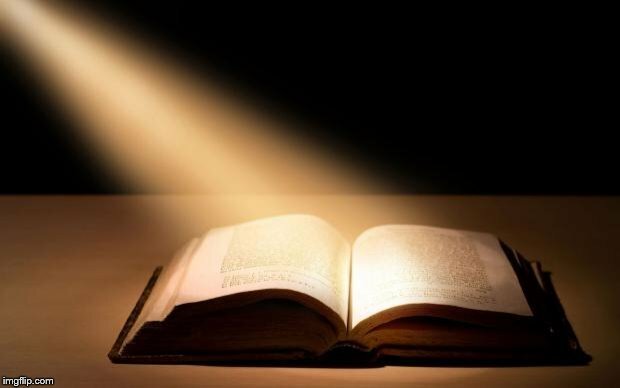 But God’s Word is a lamp. It will light our path. Even the smallest of light helps me regain some of my balance. Of course, the more light the better my balance. The same can be said about God’s Word. A little of it will help a little. A lot of it helps a lot. Studying God’s Word is a benefit for us–not for him. Not sure where to start? Anywhere is better than nowhere. There’s a ton of resources out there that can help. Books, TV shows, podcasts, and devotional sites like this one. But the best place to start is to open your Bible, ask God for wisdom, and start reading. Next What’s In Your Spiritual Tool Box?